This is a wonderful opportunity to get to know others while allowing others to get to know you and of course there is also the added bonus of making great friends along the way. Participating in #AskAwayFriday each week is also a great way to build your blogging community. This week my buddy is Stacey Gannett from thismommasramblings.com. where she blogs about the "day to day adventures of a home schooling, home making wife and mom." Make sure you drop by to read Stacey's answers to my questions. Below are the questions she asked me. 1. What would you like to see happen for Healthy Moms Magazine in 2015? This is a tough one because I have reached so many milestones and goals that I have set for my main blog already. I guess I would love to see more comments on my posts over there. I have learned that most people like to comment on personal stories instead of informative articles. That is one reason why I started this blog. If you take a look, I get twice as many comments on my posts here than on The Healthy Moms Magazine. I have always envisioned The Healthy Moms Magazine as being more of a community rather than just a blog. But, that never happened so I created Healthy Moms Social, which is an interactive online community. But I am having a hard time growing that network and getting the members to interact with each other. 2. What’s one thing you’d rather pay someone to do than do yourself? Why? If I could afford it I would have a personal assistant. I get hundreds of e mails every single day, mostly from PR reps or clients needing social media promotions or sponsored content. I am constantly checking my e mail and I think I spend about 3-4 hours a day just replying to e mails. I would love to be able to hire someone to do this for me and to manage my social network. 3. What are five things that you like to do for just you? A. Go for a run or workout. I either go for an early morning run before my kids get up or later in the day I will do a 20 minute weight training workout. I workout 5 days a week. 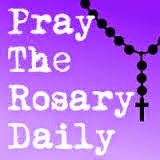 B. Pray the rosary and read my Bible. I try to do this on a daily basis and when we lived in Spokane and I had more time to myself I was able to read the Bible and pray the rosary every day. I think when my kids are a little older I will have more free time for this. C. Play King Puzzle Games on My Fire Tablet. This is becoming a terrible addiction but it helps me to unwind when I am stressed out. I play almost all the King games. You've probably heard of Candy Crush Saga, Candy Crush Soda Saga, Pet Rescue Saga, Bubble Witch Saga, Farm Heroes Saga, you name the saga game and chances are I play it. I get angry when my kids play video games for too long and I guess I am not showing a very good example. D. Listen to Music I love my country music! Blake, Miranda, Carrie, Garth, Luke, FGL, LBT, Kenny, Brad, I know them all on a first name basis and listen to music every single day. I have country radio playing in my mini van and my kids (even Little Bear) know the words to all the songs that come on. 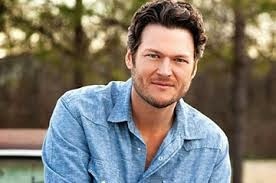 We are looking forward to watching SNL this weekend because Blake Shelton is hosting. He is my kids' favorite country artist. 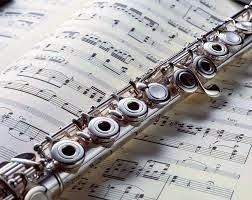 E. Play My Flute You probably didn't know that I am a musician. I was a music major in college and have played the flute since I was in fifth grade. Music helps me deal with stress, anxiety and when I was a teenager it helped me with depression. I play my flute in the church choir for mass every Sunday. It is another way I can praise the Lord. 4. What is one guilty pleasure you enjoy too much to give up? Wine. Lately, Chris has been into mixed drinks and he wants to create a home bar. So we are trying different adult beverages. We are falling in love with cinnamon whiskey. It is so good! We mix it with diet soda. I know it isn't the best for you, but man it is so good. Usually when the kids are in bed and I've had a rough day I will get myself a glass of white wine. Even though red wine tastes much better than white, I can't drink it because it gives me migraine headaches. 5. What would your dream pamper day consist of? I would love to have a long soak in a bubble bath or hot tub followed by a massage and manicure. Then relax with the Bible or another good book. All while listening to Blake Shelton, of course and drinking some white wine. Maybe I could have him give me a private acoustic concert while I am relaxing. That would be nice! 6. What is one thing that blogging has taught you about yourself? I can accomplish anything if I put my mind to it. When I started my first blog back in 2007, I never imagined that seven years later I would have thousands and thousands of people reading what I write every single day. I am very humbled at the success of my blog. But know that through hard work, dedication and hours, and hours of time I can do anything. This is why I am working on my first book. If I can make a blog with 60K page views and 30K subscribers, I can write a book and sell 90K copies. 7. Do you have a favorite story from your childhood that you now read to your kids? No I don't but Chris does. His favorite story from his childhood is "The Giving Tree." Our kids have a copy of that book and he's read it to them a few times. 8. What is your fondest dream that you have yet to accomplish? See number 6. I am working on my first book. Actually it is going to be offered on Kindle only and I guess can categorise it as a Kindle ebook. I love how easy Amazon makes it for writers like me to be self published. If my first one is a success I am going to write many, many more. I would love to be able to provide a decent second income for my family. I can't get a regular job because Chris travels so much for work. Also, I never enjoyed working for anyone else. I would love to be able to make money from my own accomplishments and not by doing what a boss says. 9. Do you have a favorite recipe from your childhood that you now make for your family? I have several recipes that I make for my kids. Kitty's birthday is coming up and I always make a home made chocolate birthday cake for my kids. It is my paternal grandmother's recipe. She died when I was still a baby so I always remember my dad making the chocolate cake for our birthdays. This year Kitty wants me to make cup cakes instead of the regular pan cake that I usually make. 10. As a fellow Illinoisan, what is your favorite thing about living here? This is a tough one because I have only lived here for five months now. So I will just say this. It borders the fabulous, most awesomist (I don't think this is a word) state in the whole union. I am a cheese head, a Wisconsinite, a die hard Packer fan, and was born and raised in America's Dairy Land. Crystal lake is just an hour south of the state line and my parents live an hour and a half from us. If Chris didn't have to work in Chicago we would have moved back to Wisconsin. But Illinois will do. And we love Crystal Lake. It is a nice, friendly community and we feel comfortable raising our kids here. Care to swap with me?? I have all my Fridays in February open. Send me an e mail at talbertcascia@yahoo.com and we can arrange it!